You’re probably reading this post with a fidget spinner in your hands, aren’t you? Relieving stress and anxiety is almost a full-time job in itself, which has fueled a host of app services aimed at helping you relax and de-clutter your thoughts. 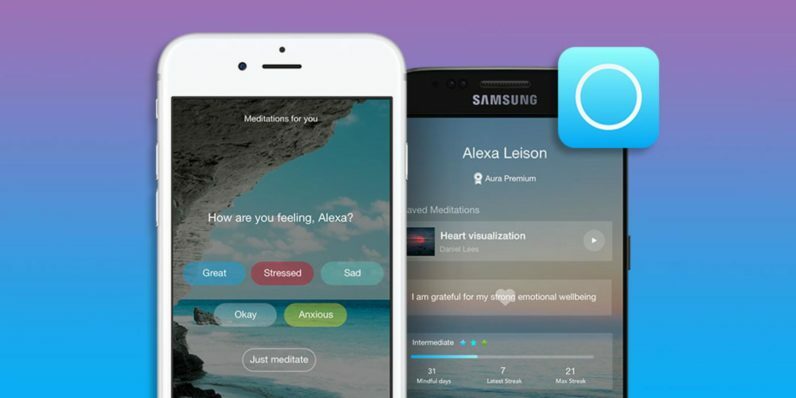 Aura Premium packs a litany of top-notch credentials and has quickly become one of the rising stars in the app meditation market, scoring a coveted #1 New App designation from Apple last February. And right now, you can get a lifetime subscription to their in-demand service for over 80 percent off — just $69.99 from TNW Deals. Featured in outlets as varied as Forbes and TeenVogue, Aura has compiled the meditation and brain relaxation techniques of top teachers and therapists into an app that actually learns what works for you. Whether you attack stress like cancer with lots of activities, or would rather tackle your anxieties in quick short bursts, Aura’s groundbreaking machine learning abilities craft science-backed meditation exercises for your particular approach. In 3- to 10-minute sessions, you’ll work through guided meditations that’ll break up your mental gridlock. Aura tracks your mood, gauges your patterns, offers daily reminders and even displays your stress relief progress visually so you can track your improvement. Also available on one-year ($29.99) and two-year ($49.99) subscription plans, you can take advantage of Aura’s critically hailed service forever for under $70 with this limited time deal.